From Cheyenne, Wyoming Brandt is a comedian, author, and actor. Brandt has toured overseas performing for our troops and has been featured on Comedy Central, Fox, and ESPN. He has recorded two CD’s Token White Boy and Ramblin’ and Gamblin both of which went to #1 on both the iTunes and Amazon charts the week they were released. Brandt is currently the host of the award-winning podcast The 31. He is a regular on nearly every comedy podcast you can think of including Bertcast, Crabfeast, Your Mom's House, Mohr Sports, The Dana Gould hour, and Ari Schaffir's Skeptic Tank. 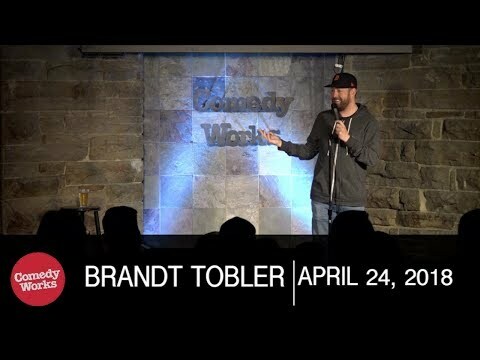 In 2018 Brandt was a finalist in Barstool Sports Barstool Idol contest and was also named the "Best-Undiscovered Comedian from Wyoming" by Thrillist. Brandt’s best selling memoir, Free Roll, was released in the summer of 2017. His second autobiographical book, You Couldn’t and You Wouldn’t, is scheduled to be released in the summer of 2019. Brandt is known as one of the best storytellers in comedy today and is​ a​ self-proclaimed connoisseur of chaos from an outlaw bloodline. Don't miss his stories!